Please join us Sunday December 9, for a very special celebration of the Advent Season. 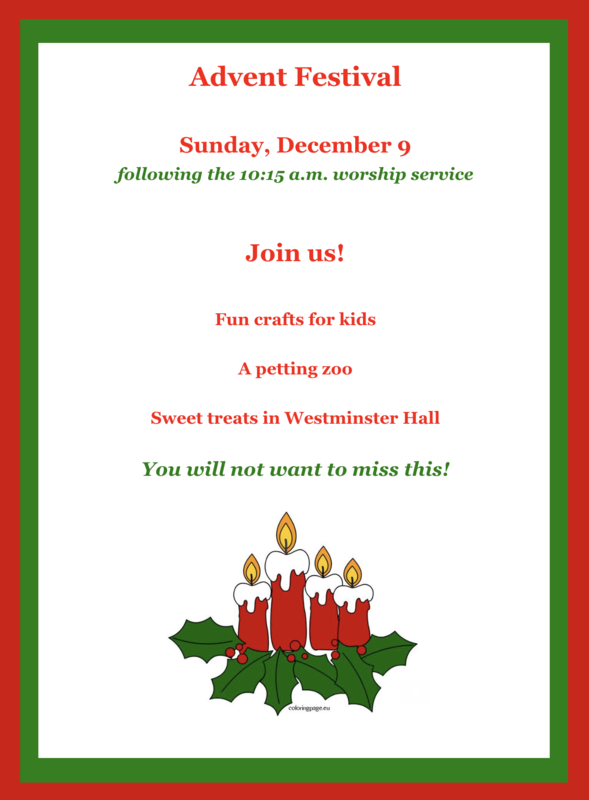 Following the 10:15 worship service (which will feature the children’s Advent Musical), there will be lots of fun crafts for the kids, a petting zoo and sweet treats in Westminster Hall. You will not want to miss this! For more information please contact Stacy Currie.